Fabric buildings can usually be installed on a diverse array of foundations, including screw piles, helicals and precast or cast-in-place concrete. Costly concrete foundations are not necessary for fabric buildings, whether for permanent or temporary use. Save money by installing a building directly on the ground with little site preparation. 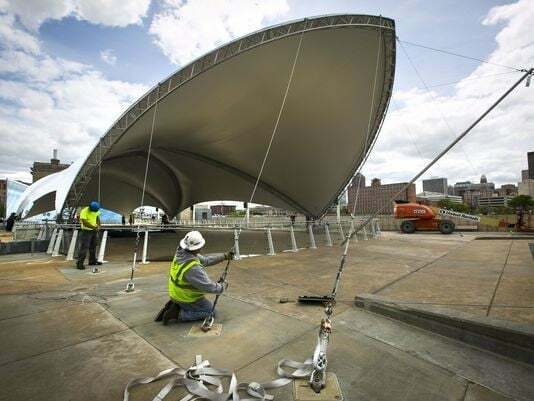 Fabric structures can also be constructed on asphalt or concrete, and you can add height to your building by putting it on a pony wall, shipping containers or concrete blocks. Many foundation systems for fabric buildings require no excavation, meaning that it provides superior holding capacity while being environmentally friendly. Other anchoring options are also available.